Said sister and I got a serious kvetching at when we sang Jesus songs at Passover. I gave Channuka gifts to no one this year. Bupkes. I know what you’re thinking: oy, what a shonda! Making this challah was the Jewish-ist thing I’ve done in some time. However, since in observing the sabbath I am forbidden from doing any work, i.e. blog posting from Friday through Saturday evening (ahem) I couldn’t dazzle you with my devotion on Friday like I meant to, but I assure you, these photos were shot on the sabbath, in the daytime, when I was still allowed to press the camera’s button myself, rather than having to pay some shegetz to do it for me. 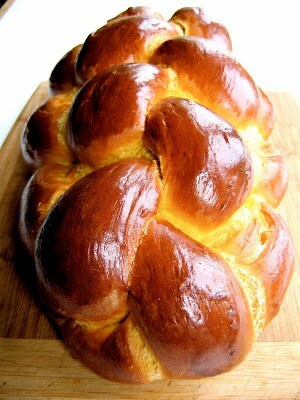 ‘Course, I couldn’t be satisfied to bake a regular challah; I had the chutzpah to go and futz with it. 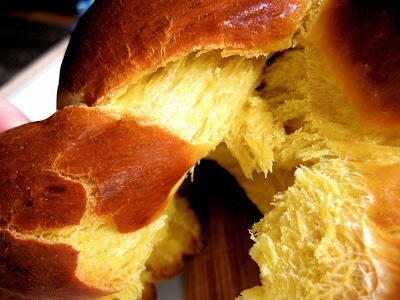 I had a can of pumpkin puree leftover from the (goyisha) holidays and remembered a baker friend describing the pumpkin brioche she used to make at Liberty Cafe. So I thought, why not pumpkin challah? 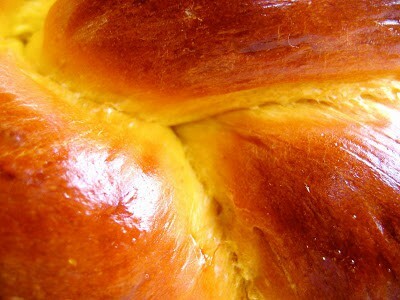 I always loved the sweet, buttery taste of challah, its fine crumb, and the way fresh bread pulls apart as you tear into it. 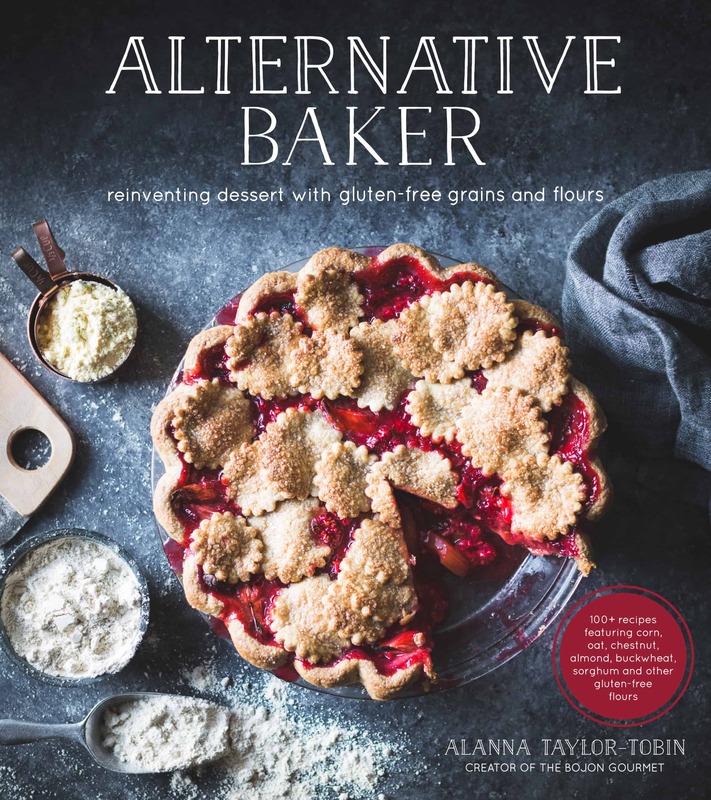 My favorite recipe, and one I used to bake at the not-jewish Petite Patisserie every Friday (I’m still not exactly sure why, but I enjoyed it nonetheless), comes from a favorite book, not-jewish Williams Sonoma Baking. The loaves taste exactly like the challah of my slightly-jewish childhood, in the good old days before my mother became a raw-foodist (She now claims that grains give her colds.) I used that recipe as a springboard, replacing some of the water with pumpkin, and tweaking the other ingredients accordingly. The pumpkin puree gives the bread a lovely golden hue, while contributing moisture and natural sweetness. A six-stranded braid gives the bread its traditional look, and a double brushing of eggwash lends a crusty, lacquered finish. 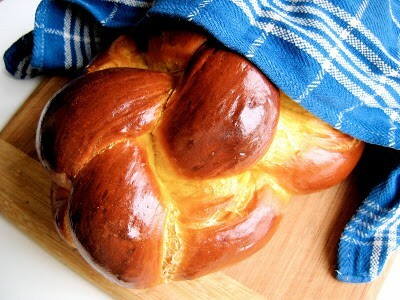 Here’s a helpful video demonstrating how to braid a six-stranded challah. Slices of this loaf make a heavenly nosh toasted and schmeared with butter and salt. It is also an excellent vehicle for melty cheese (but really, what isn’t?) Or picture pumpkin challah dunked in eggy batter, fried into french toast, and drizzled with maple syrup. P.S. 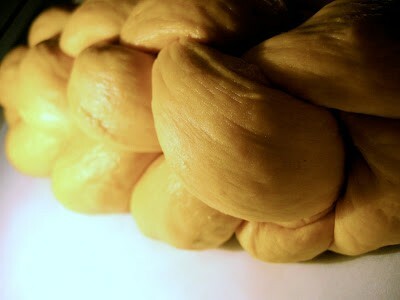 You can also use this dough to make delicious Pumpkin Cinnamon Buns. 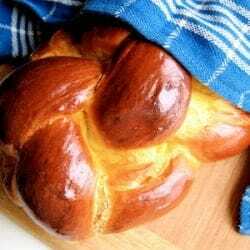 A twist on the traditional Jewish bread. In a large bowl, whisk together the yeast, water, pumpkin, eggs, butter, sugar and salt. (If using rapid rise yeast, sprinkle the yeast over the water and let stand 10 minutes before adding the other ingredients.) Stir in the flour a cup at a time, until a shaggy dough forms. 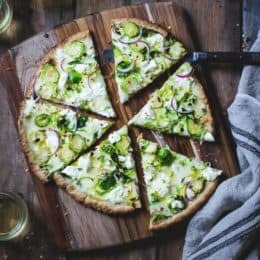 Turn out onto a lightly floured surface and knead for about 10 minutes, adding just enough flour to keep the dough from sticking to your hands and the surface, until the dough feels smooth and springy. Place in a lightly oiled bowl or container, cover with a lid or plastic wrap, and let rise in a warm place until doubled in bulk, about 2 hours. Turn the dough out onto a lightly floured surface and gently press out the air bubbles. Divide the dough into 6 equal portions (they will weigh about 8 ounces each). Tuck the edges under to form loose rounds. Cover loosely with plastic wrap or a large plastic bag and let them rest for 10 minutes to relax the glutens and make them easier to shape. Roll them into approximately 14-inch ropes. 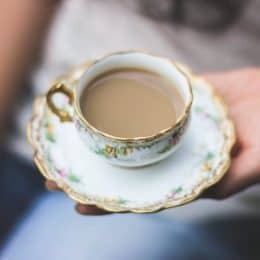 Connect the ropes at the far end, with the loose ends closest to you. Number the strands 1-6. A) Bring strand 6 over strand 1. Strand 5 is now the new strand 6, and the old 6 is the new 1. C) Repeat this pattern until you have used up all the dough. D) Pinch the ends together, and tuck them under the loaf. Whew! Now lift the loaf onto a parchmented baking sheet, put the whole thing in a large plastic bag, and let rise for about 30 minutes. Place the loaf in the oven and bake for 10 minutes. Reduce the temperature to 325º and bake for another 20 minutes. Rotate the loaf, and bake another 15 or 20 minutes, for a total baking time of 45-50 minutes. The bread should be a rich brown, sound hollow when thumped on the underside, and an instant read thermometer should register at least 195º when inserted in the center. Remove the pan from the oven and let the bread cool completely, 1-2 hours, before enjoying. This recipe makes a loaf with sturdy slices for toast or sandwiches. For a softer loaf, increase the butter to 4 ounces, and the sugar to 1/2 cup. Here are a few more recent process shots on instagram: 1, 2, 3. 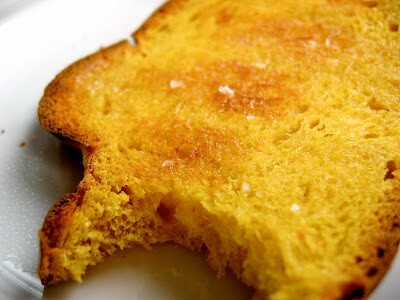 And a recipe for pumpkin challah french toast. Update 11/2014: Here are a few more recent process shots on instagram: 1, 2, 3. 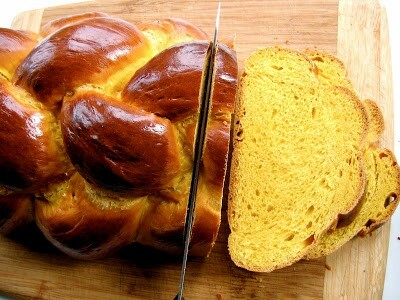 And a recipe for pumpkin challah french toast. Maybe I can repair doing YOUR challa. Flavoured with pumpkin… sounds tasty! I love pumpkin. 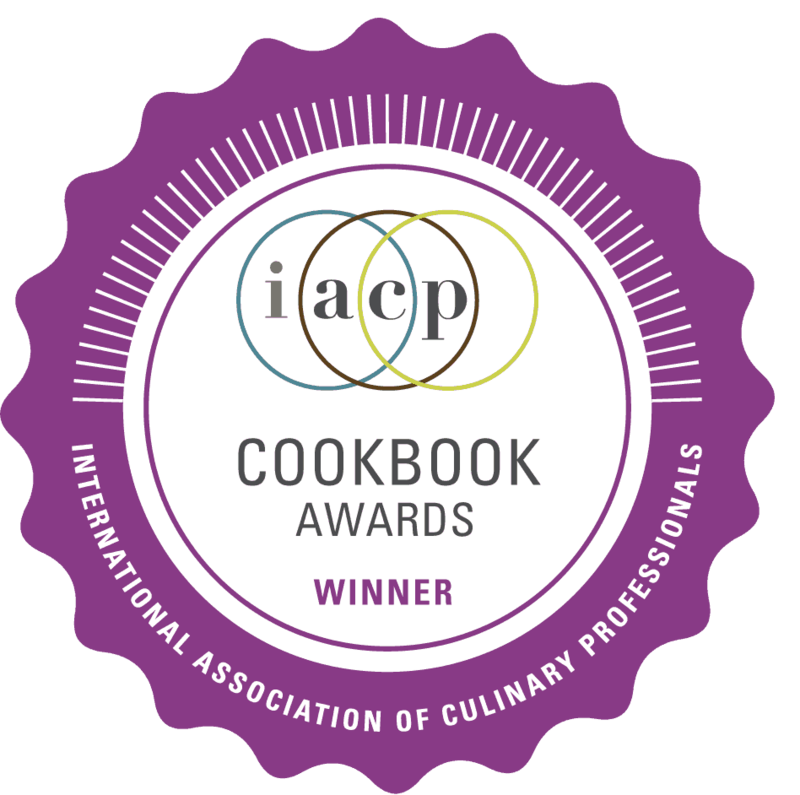 Congratulations for the beautiness of your loaf – I'm terrible with yeasted doughs, I'm sure I'd do a mess if I just tried to do that. 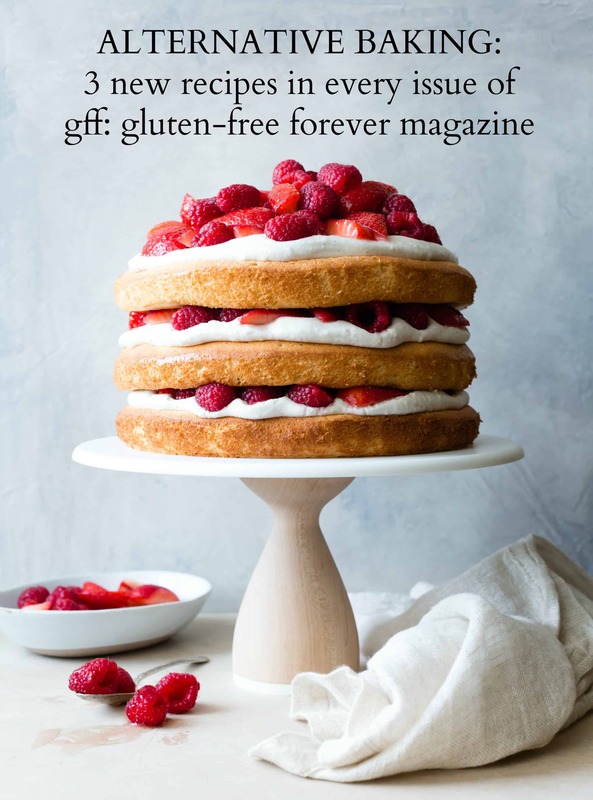 I swear I was going to give up baking but you have given me hope (and a top notch blog with beautiful photography that inspires me). I dedicated 5 hours to this project and really focused, and followed your every direction…and WOW! I did it. 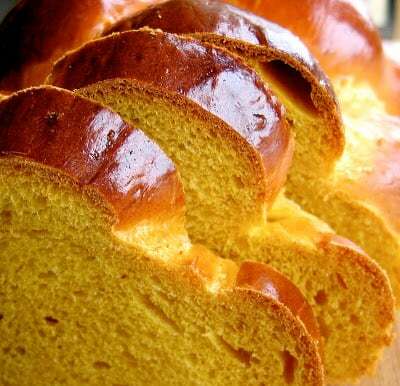 This pumpkin challah was amazing, and so are you. (And now my friends think I'm a challah hero, too.) Thank you, thank you, thank you. And bless you! Oy Vey! I am a bit verklempt that my regular oven is kaputt and my emergency counter top oven's door also decided to come loose (I am a bit of a klutz) otherwise I would be making this right away. Oy vey! What a shonda! This looks great!! I usually make my challah dough in a bread machine. 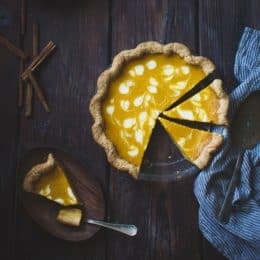 Do you have any ideas how to change the recipe to do that?? Thanks for the great recipe! The result is stunning! 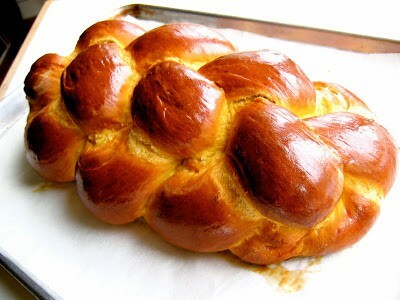 Thank you for sharing this recipe, truly the best Pumpkin Challah I’ve ever made.